This is another garment that I am just so proud of. Because this didn't really have any new skills hat I haven't used before, I really focused on quality and finishing. There were times when I would see the end of a task (ironing pleats!) in sight and get so excited, only to realize I had to do the same thing to the lining. Argh! But! All of the hard work was definitely worth it. This is the first thing I've made that to me, doesn't feel home-made. And it actually feels pretty expensive! When I found this fabric, I thought it looked familiar. 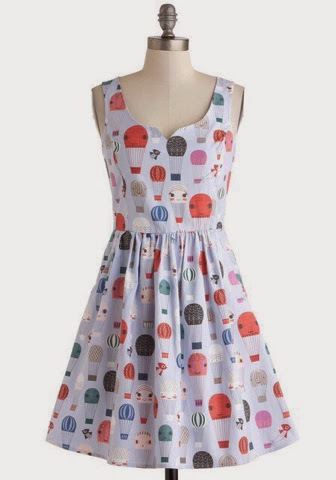 Then I came back across this dress on modcloth and realized why. It's adorable. It's $80 and it was sold out in my size. So I snapped up some of the fabric (from superbuzzy.com), and thought about what to make. 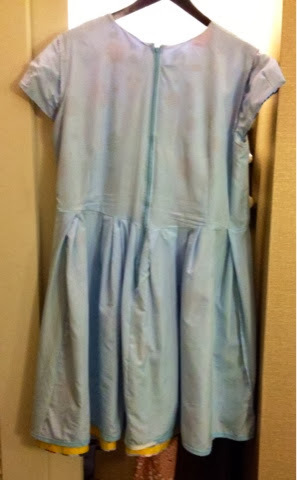 I chose a fairly simple knee length dress with a pleated skirt and cap sleeves. 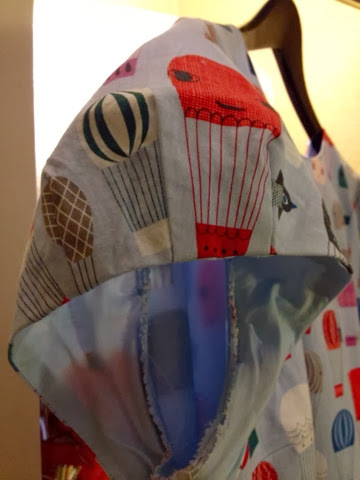 The pattern called for a lined bodice, but I also lined the skirt because this was a pretty light fabric. It's so comfy and flattering and adorable. The first time I wore it, the clerk at the gas station asked me if I was a teacher. 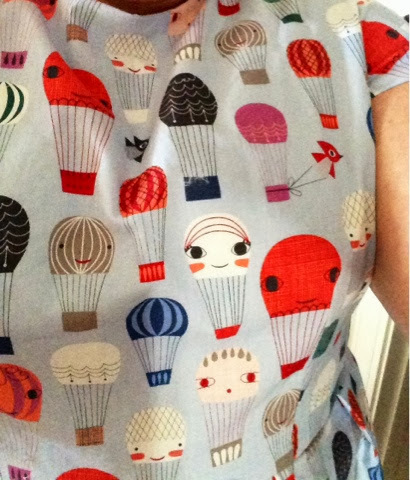 Um, are you trying to imply that anthropomorphic hot air balloons are anything other than professional, sir? The sleeves have this really adorable pleated detail that gives them a little volume, but not too much. But really, what I'm most proud of is the finishing. The inside is almost as beautiful as the outside! Look at this encased zipper! The seams in the bodice are all stitched and pinked. 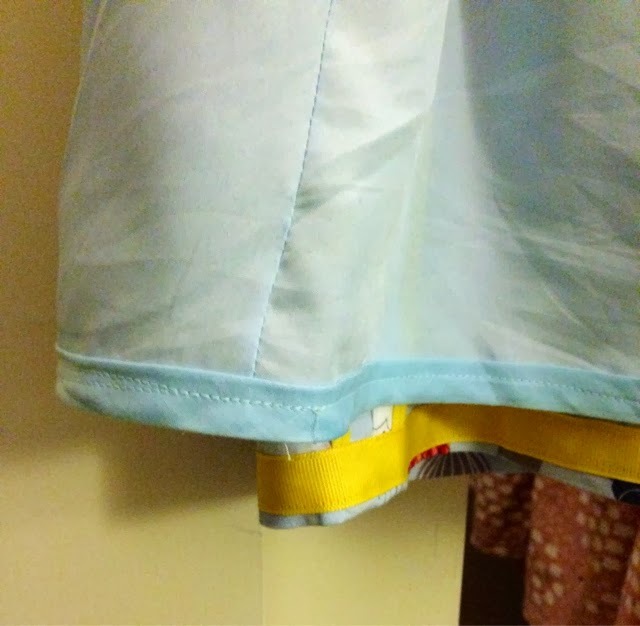 The skirt seams on the lining are French seams, and the skirt seams are all bound with bias tape. 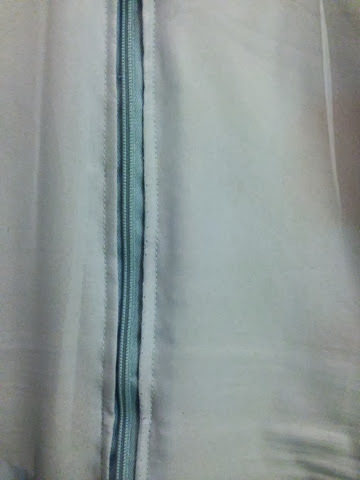 The hem of the lining is bound and the skirt hem is finished with grosgrain ribbon. All of this gives it some nice weight and will make it last if I take care of it. 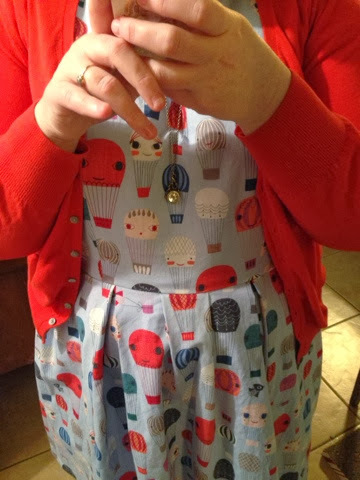 I am really so proud of this dress. And it's shown me that if I am patient and take my time, I really can do this. 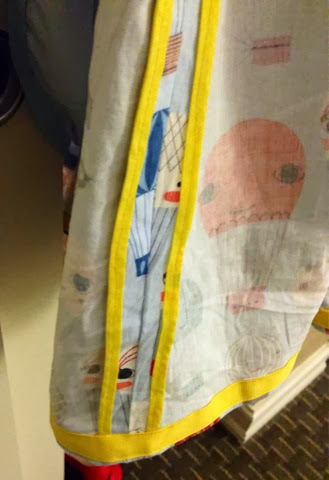 Notions: 22" invisible zipper, I used 2-3 packages of bias tape for the seam binding, one package for the lining hem, and probably 2-3 yards of ribbon (this skirt is heavily pleated and it has a really long hem). But that is all optional. Changes made: I fully lined the dress, instead of just doing the bodice. 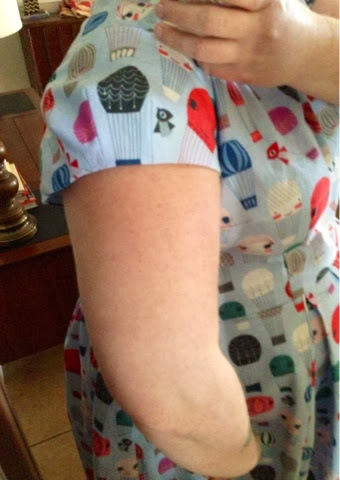 And I also eliminated some of the pleats on the sleeves because I wanted a little less volume after I did the muslin. Fuckups: I didn't pay enough attention while cutting and the layout wasn't meant for one way designs, so I ended up with two upside down panels. Luckily they weren't too far off square so I was able to flip them and just trim a bit.